The Sun Dolphin Mackinaw 156 Canoe is perfect for solo, tandem or three rider trips. This stable, full size 15'6" canoe features comfortable molded seats, paddle holders, built in drink holders, and a built in cooler under the center seat. 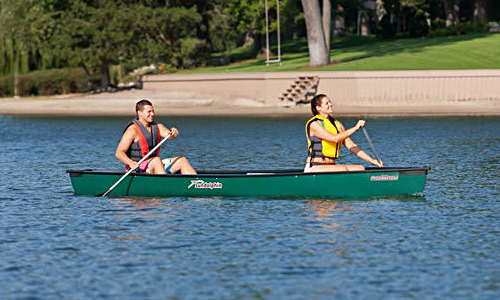 Get the whole family out for paddle today in the Mackinaw 156 canoe!